Farm chiefs have reiterated a plea to farmers to be more safety aware after three farm-related deaths and a ‘near-miss’ in less than two weeks. NFU farm safety and transport adviser Tom Price said farmers should be making more of a concerted effort to maintain farm safety. 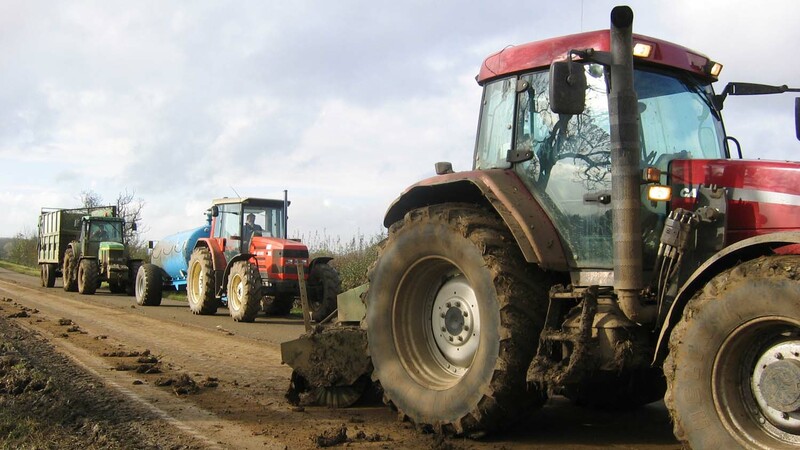 It came as the Health and Safety Executive confirmed a farmer was killed in Warwickshire on May 2, when a section of a tree he was moving with a tractor fell and crushed him. Tributes also poured in for well-known rare breed farmer and livestock conservationist Andrew Sheppy, 68, who died at his farm in Congresbury, Somerset, after a suspected fall from a ladder. Mr Sheppy, known locally as Shep, was championed for his ‘enormously generous spirit’ and ‘unwavering commitment to conservation biology’. His Dexter herd was one of the few surviving pure breeds in the country. Just three days later on Friday May 12, 22-year-old Chloe Lou Farrell died after suffering ‘extensive injuries’ when she was crushed by an overturned tractor at a holiday park in North Wales. But an elderly farmer in Cockerham, Lancashire, survived after suffering serious injuries when he became trapped between his tractor and a post-knocker. Mr Price reiterated the union’s safety messages ahead of Farm Safety Week (July 24-28), which is set to lead the industry through daily safety themes. He said: “At any time of year tragedy can strike. “Farmers must be more conscious of the risks they face and be much better at identifying and controlling them.